For the final leg of the Rome Experience journey before traveling back to the United States, we flew to Spain and spent time in Torreciudad and Barbastro. A transition from a bustling city to a sparsely populated area of Spain. On Monday we had a day of recollection at the Shrine to Our Lady of Torreciudad. While reflecting upon my experience in Rome; I thought of how many different languages I heard, the various joys, graces, difficulties and challenges that come with traveling and being in close proximity with the same people for 45 days. I thought of how my interaction with seminarians from around the United States has given me great hope for the Church in America. The size and scope of Rome and the universal Church added a new gravity to the priesthood that I was before not able to concretely grasp. While in Barbastro we learned about the Claretian martyrs who were killed during the Spanish Civil War. I realized how much faith that must have required and I prayed to God that I might be gifted with that much faith, to able to lay down my life for my faith in Christ and His Church. 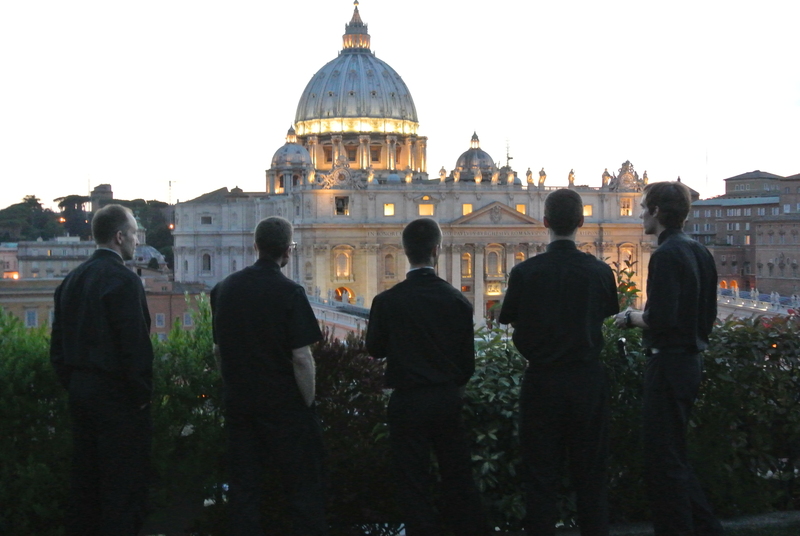 The example of these men many who were seminarians revealed how much we as men studying for the priesthood need to give to God and also how much God wants to give us if only we are willing to receive. Our last evening before flying home was spent in Tarragona, Spain. This city lays claim to have been where Paul landed in his travels to Spain. I found this fitting because like Paul who carried the Christian faith from Israel to the whole Roman world we too after spending time in Rome–the heart of the Church–were now preparing to travel back to the United States and share our experiences with the larger Church. Later in our lives, God willing, as priests we will share the Gospel in the many different dioceses we serve and because of our experience in Rome, Ars, and Spain will more effectively be able to share the Gospel message with the American Church. This summer I participated in the Rome Experience. This experience was a great opportunity for me to grow more in my faith and in my knowledge about the history of the Catholic Church. During this trip I saw places that I always wanted to see and even places that I did not know existed. We had Mass at the Church in Ars where the Patron Saint of my seminary served and died as a priest. I saw his in-corrupt body there in the new basilica. This was an amazing experience. I also had the chance to see many places where other saints lived. I saw the stairs that Jesus walked at the praetorium and a piece of the cross that he carried for our salvation. Seeing all of these places and people so excited about their faith gave me great joy and encouraged me to strive not only to live a better life but also to imitate the saints and to live as they did to bring more people closer to God. I think that this experience was very positive and that I learned many new things that I can teach others and that if God willing I become a priest I will be preaching about. The Rome Experience, as many people have said before me, is a life changing experience. There is so much to learn and after going through the program I feel like I have taken a great step towards learning more about my faith, the Catholic Church, and how to try to become a saint little by little. Pax! 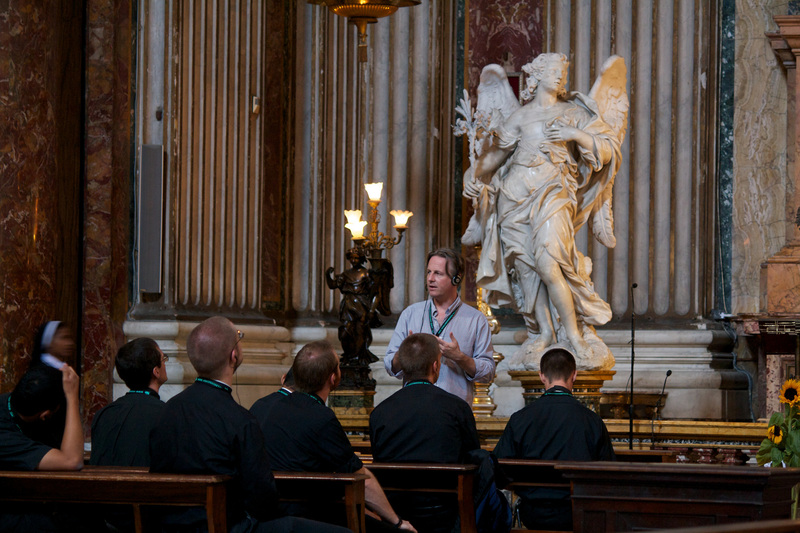 The first highlight; On Monday, June 23rd myself and 12 other “Rome Experience men” along with Father Eric Nielsen embarked on “the way of the 7 churches”, a traditional pilgrimage started by St. Philip Neri in the 16th century. Along the way we prayed all four mysteries of the rosary, spent time in the Churches for mental prayer, laughed, sweated a lot, and returned home exhausted after walking a total of 19 miles! Before we started I had thought “it’s only walking, it won’t be too hard.” In reality, it was pretty difficult, and I think the Lord will reward us with some special graces! It was a great day, and I know St. Philip would have been proud of us. I cannot fail to mention that among the many churches we visited were the four major basilicas: St. Peter’s, St. Paul outside the walls, St. Mary Major, and St. John Lateran (The place of the Holy Father’s cathedra). We also visited St. Mary in Trastevere, St. Lawrence, and St. Sebastian. What a great experience to walk many of the streets of Rome on pilgrimage, following the example of so many Catholics who have gone before us. The second highlight of the week was unforeseen, but especially sweet for me. 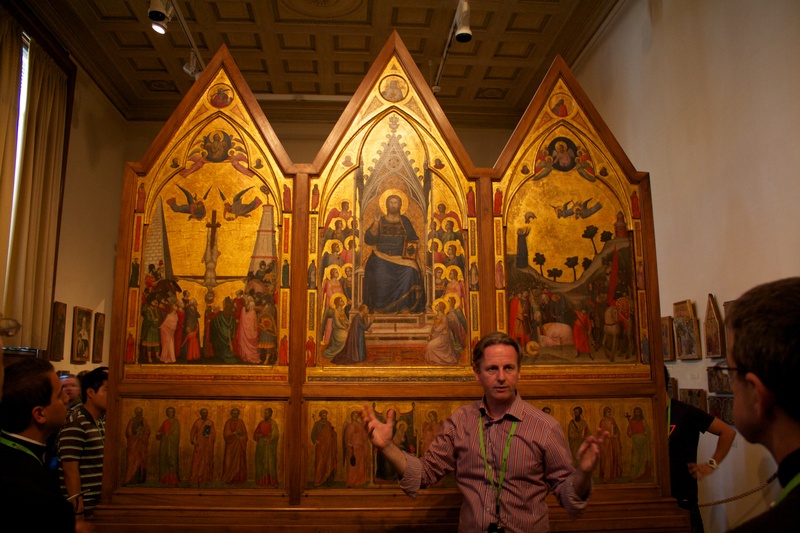 On Tuesday morning we were going through various churches and learning about their art and architecture. Inside one of the churches, we were told that Mary had appeared in an apparition at one of the altars, and that the apparition had been approved by Rome. If this was not amazing enough, we were then told that St. Maximilian Kolbe, the “saint of Auschwitz” who had great devotion to the Blessed Virgin later came to this church and celebrated his first Mass at the altar where the apparition occurred. Since my first year of seminary, my rector gave me a biography of St. Maximilian Kolbe, and since then he has been a great inspiration for me in following the Lord’s call to the priesthood. He was a young man who struggled in discernment, but ultimately decided to consecrate his life completely to God as a Capuchin friar. He voluntarily gave his life for another man who had been chosen to be executed by starvation. When Maximilian was asked who he was by the soldier in charge he said, “I am a Catholic Priest, old and good for nothing.” Maximilian thus convinced the soldier to take him and spare the life of the other man. While in the starvation bunker amidst some other prisoners, it is said that Maximilian turned the space of the bleak starvation bunker into a chapel, filling the air with prayers and songs and encouraging the other prisoners to not lose hope, to trust in God. At the altar I touched my rosary to the altar stone, and asked Mary and Maximilian to pray for me, that I may be holy and courageous. This past Monday we had a conference with Fr. Bill Donovan from the Archdiocese of Philadelphia. He explained to us the work that is being done in the Archdiocese for the big gathering of families in September of 2015. Started by St. John Paul II, one of the main jobs of the Pontifical Council for Families is to host the “World Meeting of Families” once every three years. 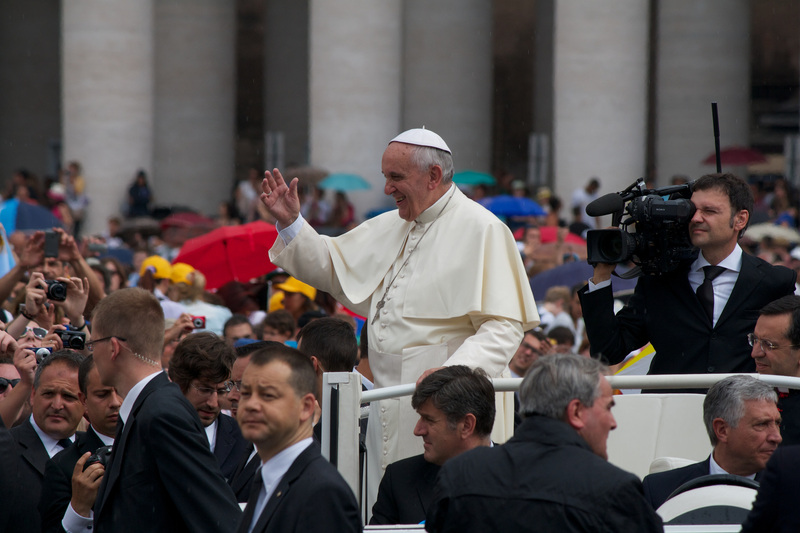 The last one to take place was in Milan 2012 where over one million people participated in the closing Mass. This is very exciting for us in the United States, as we will host this event that should draw pilgrims from all over the world. Having gone to World Youth Day in 2011, there is something very special in a gathering with people from all over the world. This event in our own backyard will grant us the opportunity to pray for the family. There is no problem if you are not excited, I may be excited enough for everyone in the country. This past week a few of us were able to encounter the gift of fraternity in various different ways. Some of the seminarians studying at the NAC (Pontifical North American College) invited the three guys on the program from Florida to their weekly Florida Night. This night consisted of praying Night Prayer (Compline) and just hanging out together. It is a clear sign of a good time when time flies by. This past Saturday Dan Daza-Jaller (whom blogged last week) and I went to visit TreFontane. This is the place where it is said that St. Paul was martyred by beheading. His head proceeded to bounce three times and each time his head hit the ground a spring began to flow. On our way to TreFontane we encountered a group of Religious Sisters from all over South America, we began to speak to them and realized we were heading to the same spot. Not only did we get a great explanation of the actual church, but we were taken to a tiny grotto where the Blessed Virgin Mary appeared to a man who was very anti-Catholic. There would have been no way for us to get to this Marian Shrine without having met these Sisters. 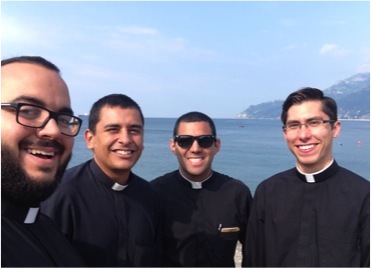 I bring these stories up because one of the goals of the Rome Experience is to create and foster fraternity among us so as to continue this brotherhood in the priesthood (God willing). This fraternal friendship is not only exclusive for our brother priests but also for good and holy Religious Women. We truly encountered that it is very good when brethren dwell as one (Ps 133), especially in Rome. It was quite appropriate that on Monday, June 9, as the universal Church returned to Ordinary Time, we here at The Rome Experience began our regular schedule of prayer and classes. After our retreat in Ars, arriving in Rome and getting settled in, and a long week running around Rome visiting the beautiful holy sites, it was good to ease into a smooth rhythm. Being a person who likes falling into habits (hopefully good ones! ), it has been good to be able to establish my own little habits, within the plan of life that the program provides for us. This development of good habits (i.e. virtues) is part of what we have been taught during these past weeks. A good “Plan of Life” will help us live balanced lives. Part of the steady rhythm and balance, which I spoke of above, includes spiritual direction. 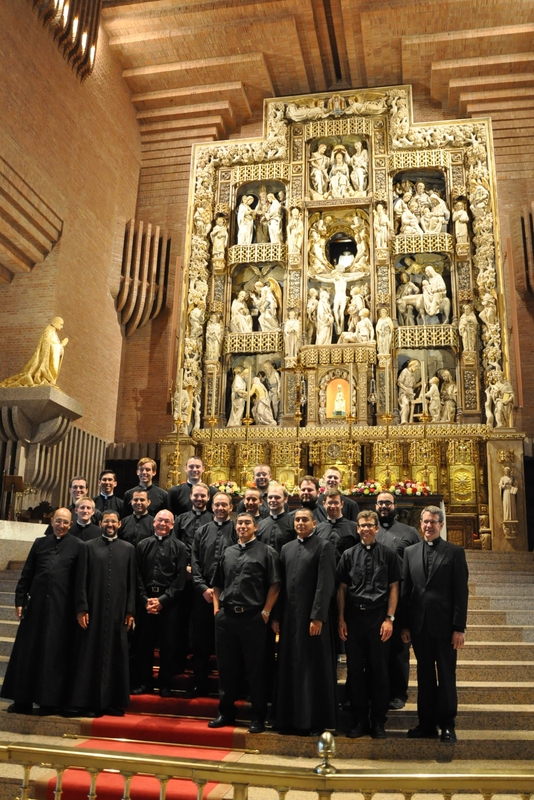 At seminary, each seminarian is assigned a spiritual director. A struggle for me during the summers has always been “going at it alone” for almost three months without spiritual direction. I am grateful that, while only for three short meetings, The Rome Experience provides spiritual directors for us during our time in Rome. Last Monday was my first “official” meeting with my spiritual director. It was a blessing to get to share with him the ways in which the Holy Spirit has been moving in my heart during these past few weeks; my joys, my struggles, my dryness, my encounters with The Lord, etc. Along with all the awesome things which are provided for us by The Rome Experience (classes in Rome, visits to holy sites, meetings with cardinals and priests serving in Rome, etc. ), we are also given some free time to do things on our own. This past week-end, three of the men and I travelled three hours south of Rome to visit a few places. Monday, 2 June: This morning we attended Mass at St. Peter’s Basilica in the Vatican, followed by a tour of the basilica and the Vatican necropolis. 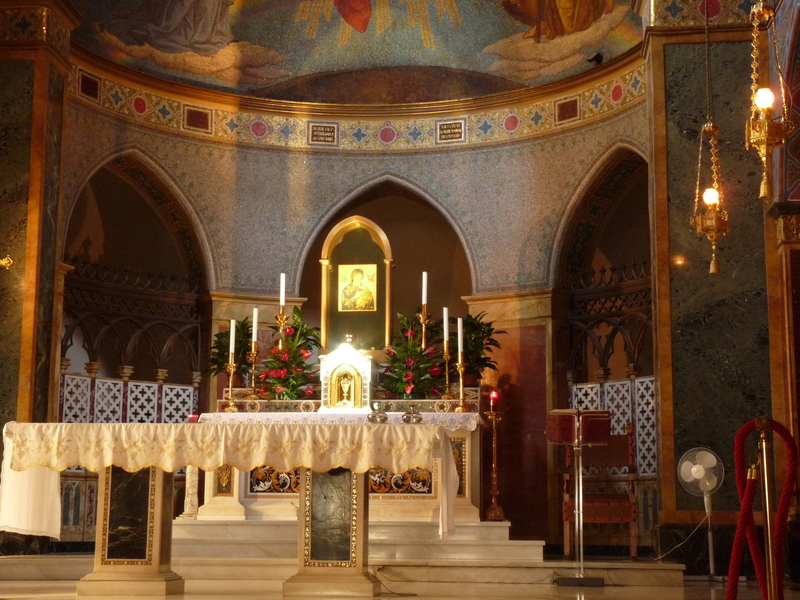 We also had time to pray individually in the basilica, and I chose to do so in the Blessed Sacrament Chapel. As I knelt before the tabernacle to pray Lauds, the opening verse for the first psalm (Psalm 84) gave perfect expression to my thoughts: “How lovely is your dwelling place, Lord, God of hosts. My soul is longing and yearning, is yearning for the courts of the Lord.” Visiting the great churches and basilicas of Rome, one can easily fall into the role of the tourist, forgetting the spiritual significance of a site of pilgrimage. Here, in the presence of the Eucharistic Lord, surrounded by art and architecture by some of the greatest artists, such as Bernini, Borromini, and da Cortona, I was reminded before all else that this is the dwelling place of the Lord: Hic Domus Dei est et porta caeli (this is the House of God and gate of heaven). The magnificence and beauty of the art and architecture there serves this purpose: it is a noble space for the Sacred Liturgy and dwelling of the Lord, a fitting shrine for his saints (first and foremost in this great basilica, St. Peter the Apostle), and a testimony to our faith. This experience in the Blessed Sacrament Chapel shaped my travels to the numerous other basilicas and churches this week, reminding me of the primary spiritual purpose of these visits. Tuesday, 3 June: Our schedule today included trips to the Catacombs of St. Callistus and the Basilica of St. Paul Outside the Walls. The highlight for me was a short visit that I made to the Basilica of St. Sebastian, about a ten minute walk from the Catacombs of St. Callistus. Since we were given some time to walk around, I decided to take an old road surrounded by the Roman countryside that lead to the Basilica of St. Sebastian. I thought to myself that the view from that road of the quiet country was a view shared by the early Christians as well as countless pilgrims to Rome throughout the centuries before the great urban sprawl of the twentieth century swallowed up the majority of the open land surrounding the old city walls. The peaceful silence of that walk served as a prayerful preparation for my pilgrimage to the Basilica and shrine of St. Sebastian. As the bodies of the martyrs had been removed from the catacombs and placed in the churches of Rome, it was good to be able to pray before the tomb of one of those great martyrs that had once rested in ancient catacombs.